Both teams have qualified for knockout stages from the Group B but there is still first place up for grab, and finishing first in the group might avoid them a clash against Brazil. 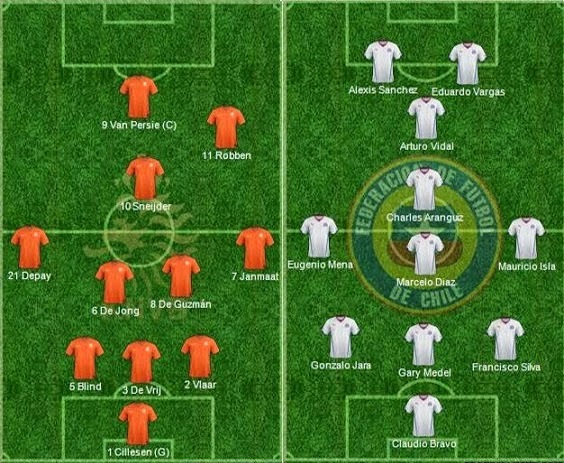 Netherlands have been breath of fresh air, playing with 5-3-2 formation leaving Robben and Van Persie upfront with alot more room to create havoc while Chile played the most compact football in the competition so far. Both teams exceeded expectations in the group stages so far, with Netherlands tearing world champions Spain apart with a 5-1 win while Chile put a massive dent on Spanish side with a comfortable 2-0 victory which ensured their passage to next round and Spain’s early exit. Netherlands looked a bit shaky at the back in 3-2 win over Australia while Chile played well to be aussies 2-1 in the opening fixture of the group. Netherlands are likely to stick with the same lineup and system playing 5 at the back and three in the central roles with Robben and Van Persie playing as out and out strikers. The system has gave Netherlands much needed protection at the back with sacrificing their attacking flair. Chile game play revolves around Alexies Sanchez who has been playing superbly in the first two matches. 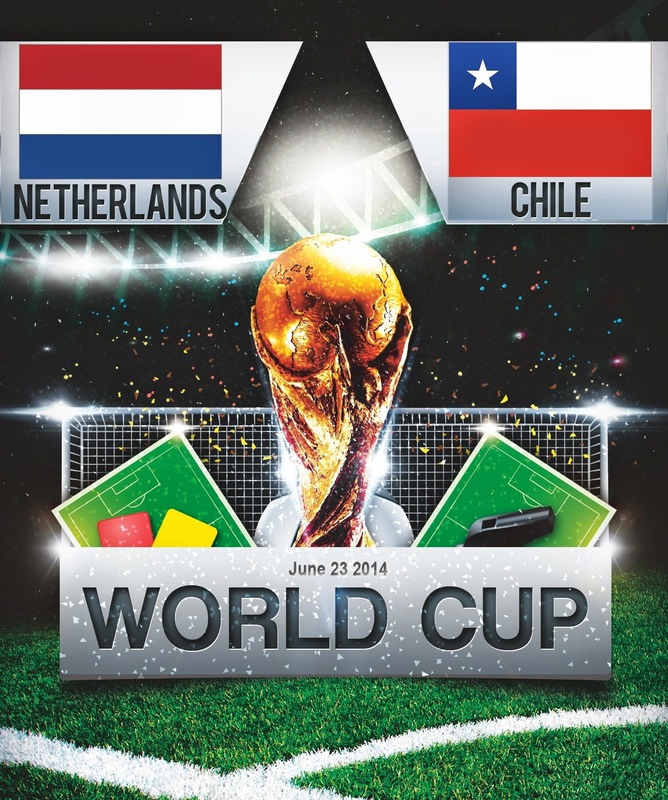 Chile’s defence looked much better than of Netherlands if we compared their first two games and we can see Chile causing all sorts of problems of Netherlands in this game. Here is the Starting Prediction lineup for both the teams. If we go back in 2008 Euro championship where Netherlands started with defeating France and Italy in style and became the hot favourites to win the competition, they meet Russia in knockout stages and got humbled. So what I am trying to say is Netherlands tend to start big competitions on fire but there is a reason they have never won a World Cup, because they always come short in the game what matters. Netherlands are the biggest under achievers in the world cups, they had great squads in the past but could not pass that final hurdle. Chile has all the ingredients to cause all sorts of problems for Netherlands back line which looked shaky on both Spain and Australia games. This Netherlands side will create chances and will score goals but they will most certainly leak goals. We can expect a 2-1 win for Chile in this game. The most awaited part of any football fan - the world cup. But before that, the team that wins the Euro 2016 has considerably slot in the most awaited event. Happening this July, the 24 finalists will battle for their fame and prejudice. It's going to be a war between strikers and goalkeepers!